We are at the generation where gadgets are being maximized whether it’s for gaming or for photography. In this case, batteries tend to get recharged every now and then. 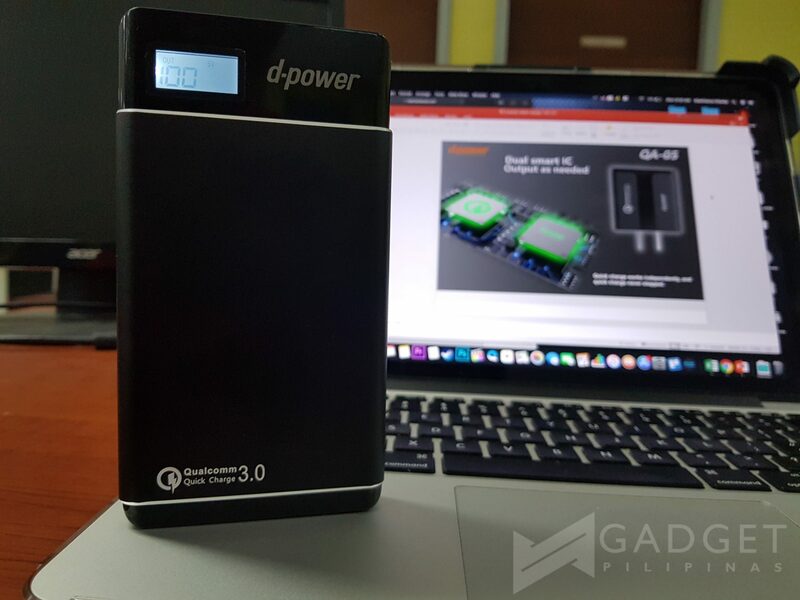 D-power has been on the market on a reasonable amount of time and has already proven their game for consumers’ powerbank needs. One of these is the 12,000mAh d-power S10. At first glance, I noticed the beautiful chamfered edges of the S10 enveloping its body. At the top, you’ll have two USB slots, the green USB slot has 5V1A power while the orange USB slot has a feature of QC3.0 – 5V3A; 9V2A; 12V1.5A. Its aluminum finish looks very premium and it has a little heft on it. It’s not that slim but can be carried easily on a satchel. 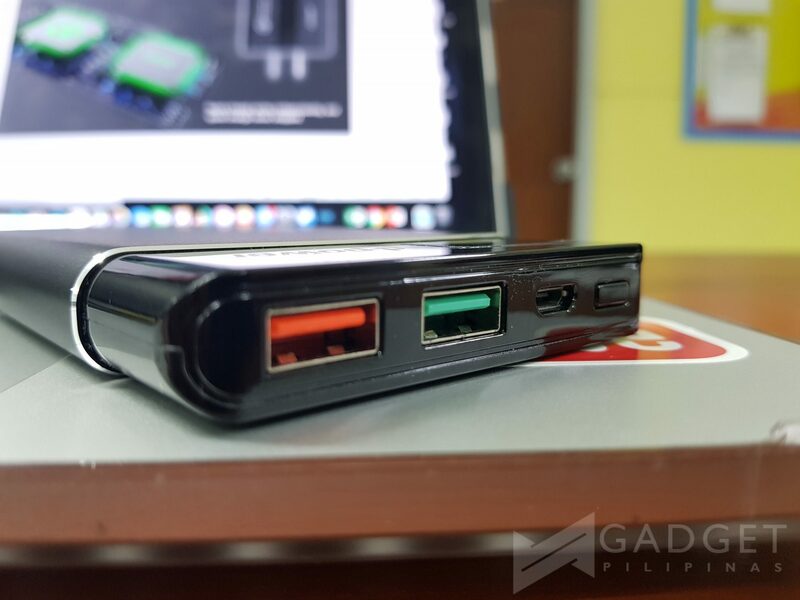 Unlike other powerbanks which only have a light indicator, the d-power S10 has a small display that lets you see the battery percentage of the powerbank and the voltage you’re using on your device. The 12,000mAh battery of the d-power S10 juiced up my 4,000mAh Huawei P20 Pro and 3,000mAh Samsung Galaxy S8 at the same time. 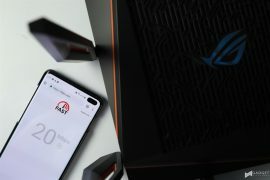 Fortunately, the S10 is supports Qualcomm Quick Charge 3.0 and Huawei Supercharge. My Huawei P20 Pro was fully charged for approximately 2 hours starting at 10% remaining on its battery while my Samsung Galaxy S8 got fully charged for 1 hour and 30 minutes. 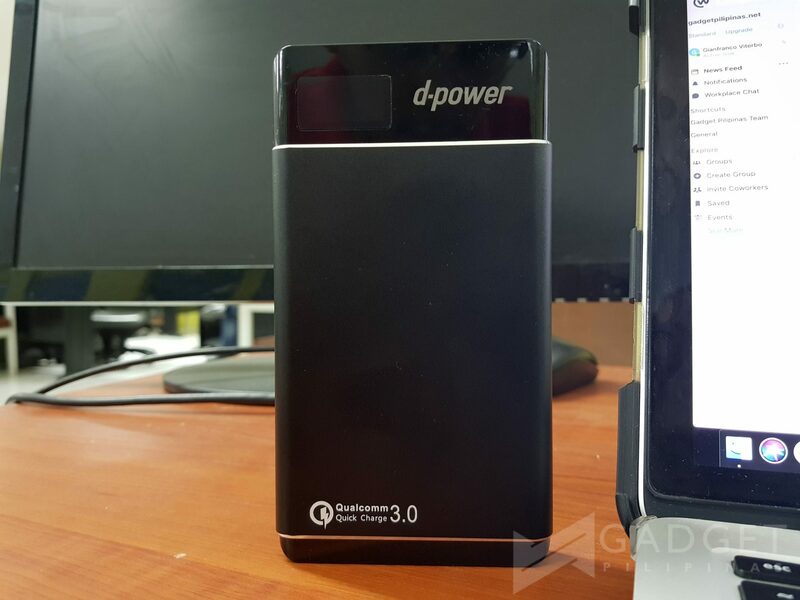 The d-power S10 is one of the better powerbanks in the market today. It’s a little heavy compared to others, but still manages to perform as expected. The support for Fast Charging is definitely a plus factor and its premium look adds up to your style. It’s a must-have for today’s gadget-strickened environment and it’s also priced competitively at Php1,349.00.